The Borobudur Temple, Indonesia's spectacular site, allows you to the travel back in time to enjoy an unrivaled combination of history, culture, spiritually and natural beauty. 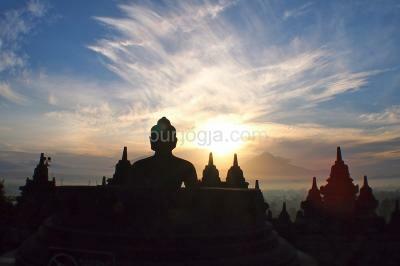 Borobudur is best seen at dawn, when the air is fresh and full of birdsong. 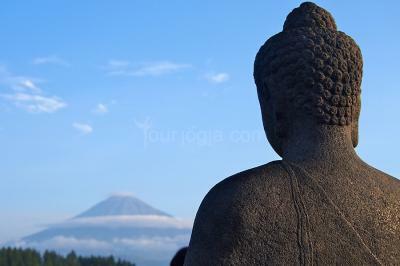 As the mist begins to lift, the sun scales the surrounding volcanoes and terraced fields, and highlights the stone reliefs and the many faces of Buddha. 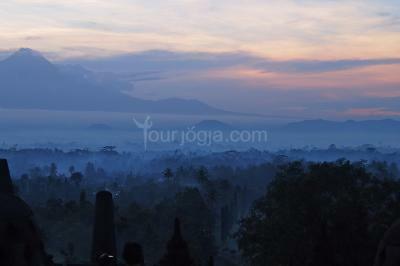 Glimpsing Borobudur for the first time is often a deeply felt emotional experience. 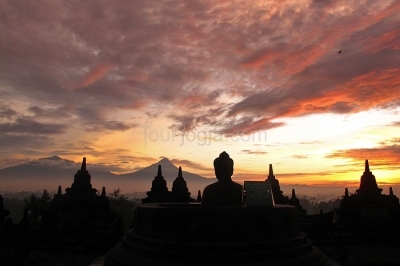 Borobudur Sunrise Tour is a private tour package designed to see the amazing view of sunrise at Borobudur Temple via Manohara Borobudur before regular public open time. A very beautiful panoramic moments to see the sunrise at the temple. 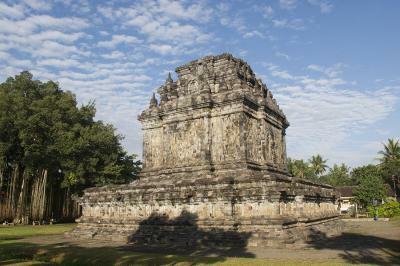 This tour offers a different experience where you can see the amazing Borobudur early in the morning at approximately 04.30 am. 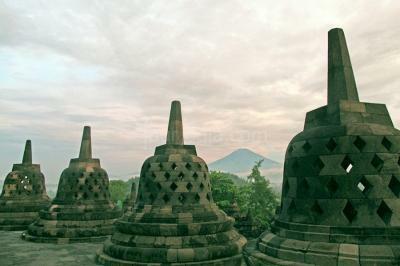 A panoramic scenary and a very beautiful morning at Borobudur especially those moments when the sun would appear from the horizon. A truly enlightening experience! 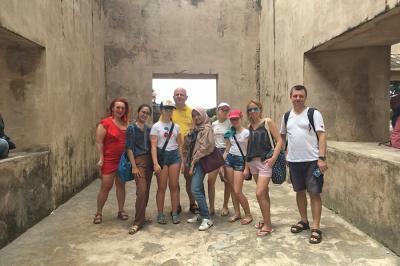 After finish Borobudur Temple, get your breakfast then continue visiting Pawon and Mendut Temple that positioned an Imaginary straight line with Borobudur. The represent stages toward Nirvana.